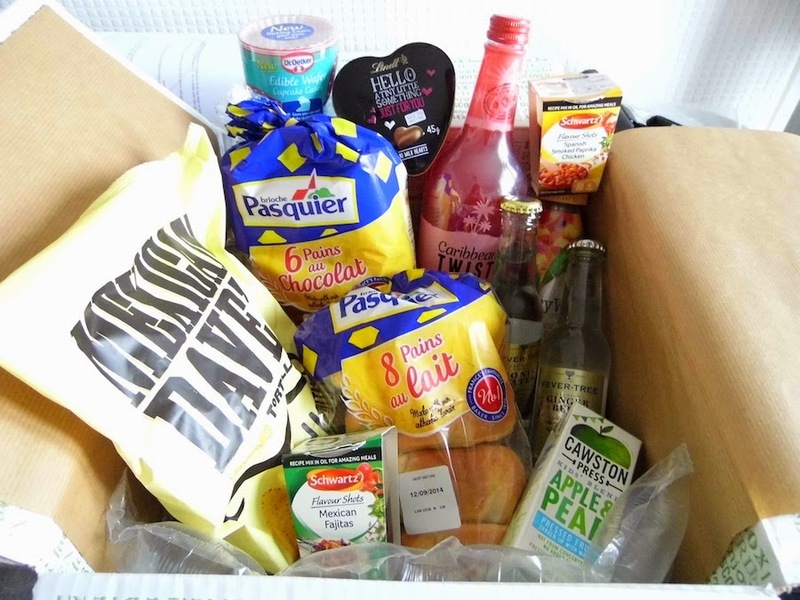 This month's Degustabox was an eclectic mix of new foodstuffs as always. Degustabox - the monthly box scheme, always guarantees to provide value for money, with 9 to 14 surprise products every month. Mexican Dave's Lightly Salted Tortilla Chips - We are a big fan of tortilla chips as a family. Great for snacking on, these lightly salted tortilla chips have a light toasted flavour without any strong flavours, which is perfect for serving with salsa, guacamole and sour cream. I used them as an accompaniment to my slow cooker Campfire Stew. Berry White Goji Berries with Peaches, White Tea and Echinacea Organic Drink - This fruity drink with slightly unusual ingredients is light and fruity and refreshing. It has no added sugar and 10% of their profits go to charity. Added to this that the drink is Organic made with superfruits and healthy extracts and you are onto a winner. Available from Waitrose and Ocado. Caribbean Twist Strawberry Daiquiri Cocktail - This delicious fruity cocktail reminded me of sunny days by the beach. For lovers of sweet and fruity drinks, serve chilled on ice with a couple of sliced strawberries and some mint for an authentic cocktail experience. Available from Asda, Tescos, Sainburys and all good supermarkets. Fever Tree Ginger Beer and Tonic Water - The ginger beer was a pleasant drink, with a touch of heat. I don't really drink tonic water, so I didn't know what to expect. The slightly bitter taste was balanced with a touch of sweetness, it would be the perfect choice for gin lovers everywhere. Lindt Hello Chocolate Hearts - These sweet little chocolates were creamy and delightful. My son and I were hugely impressed! The tin is really cute too so a great gift as a token of love or just a little treat for yourself. 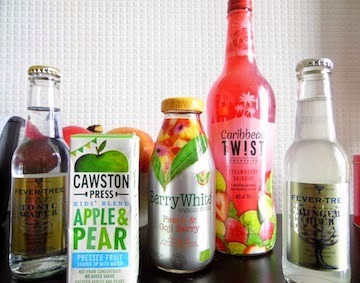 Cawston Press Apple & Pear Kids Blend - This drink was really lovely, not too sweet at all. It is made with pressed juice and a blend of water with no added sugar or anything artificial. A great drink for your kid's lunchbox or even your other half! Brioche Pasquier Croissants and Pains Au Lait - We all really enjoyed these products. The chocolate croissants were fabulous when warmed up, the oozing chocolate made these incredibly delicious. Individually wrapped these kept for ages too. The pains au lait were like a sweet bread. I ate these with a little butter and jam. Again a tasty product, they made a perfect treat at breakfast time and are a super store cupboard staple. Dr Oetker Edible Wafer Cupcake Cases - What a great idea! I am certainly going to make up some cupcakes on the weekend to try these edible cupcake cases. A brilliant idea for kids parties too I think you will agree. Schwartz Flavour Shots Mexican Fajitas and Spanish Smoked Paprika Chicken - These little taste sensations add delicious flavours to your dishes and are brilliant to jazz up your food when you don't know what to cook. The mixes contain oil, herbs and spices and pack a flavourful punch. Perfect to have in your cupboard to spice up chicken dishes, dinner will never be boring again. 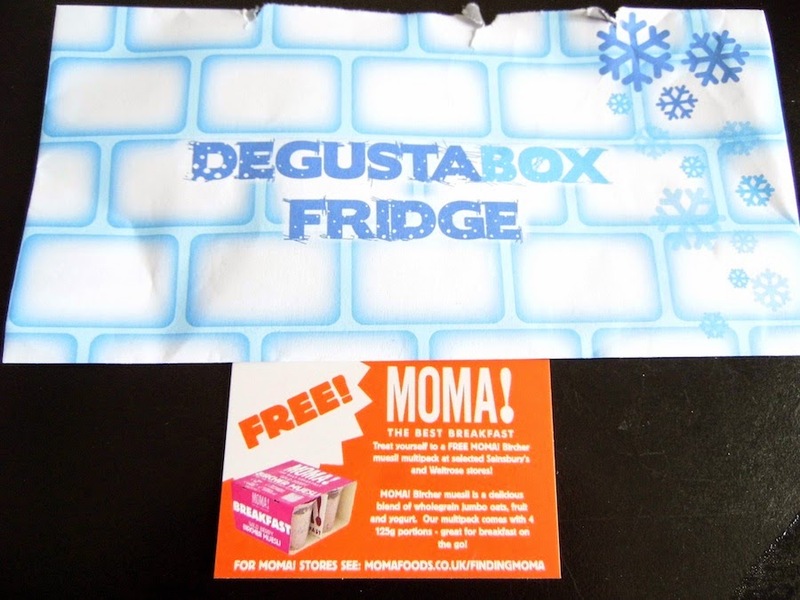 As an added bonus Degustabox are trying out a new scheme called "Degustabox fridge" which will include a voucher in each new box for a chiller or freezer item. In this box they have included a voucher for a MOMA bircher muesli pot to be redeemed in Waitrose or Sainsburys. I don't have either in my small town but will pick it up when I go to Bridgend next week. The MOMA muesli pot is a mix of muesli and yogurt so it definitely appeals to me and I look forward to trying it soon. If you would like to subscribe a Degustabox subscription costs £12.99 per month, inclusive of delivery. The value of the items is usually a lot higher. 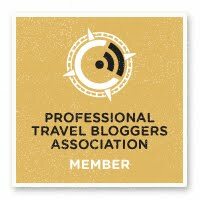 If you would like a discount of £3 enter code DSX3T into checkout when registering. Tell me what do you think of the food this month? I think if you are open minded and not too picky it's a great box. 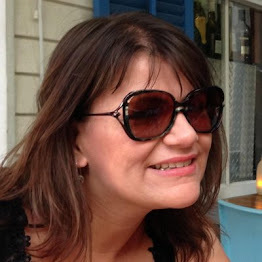 I actually like the look of most of that - apart from the tonic water which I'd have to give away! I always wonder who decides what to put in these boxes, often the mix is a little "individual" to say the least - but most of this box would appeal :) Sadly due to allergies most of the family couldn't enjoy any of it, but it seems a good selection! Quite pricey though. Awe that's a shame you couldn't have the box due to allergies. The chocolate was lovely too. It is nice to have a surprise every month. That is a great selling point. I love the idea of discovering and trying products I probably wouldn't come across in any other way. I tend to buy the same stuff week in and week out. we were looking at those wafer cake cases in the shop the other day! They are a really cool idea. It looks like a great way to try lots of new things. Yum, I like nearly everything there...looks like a great selection and I'd love to have something like that turning up on the doorstep - like Christmas! Some great items to try!